What Does The Best Bond Cleaning In Holland Park Cover? Finding and selecting reliable house cleaning in Holland Park is not easy. The most common questions we get asked by people like yourself have been collated below to assist you in making a smart decision. 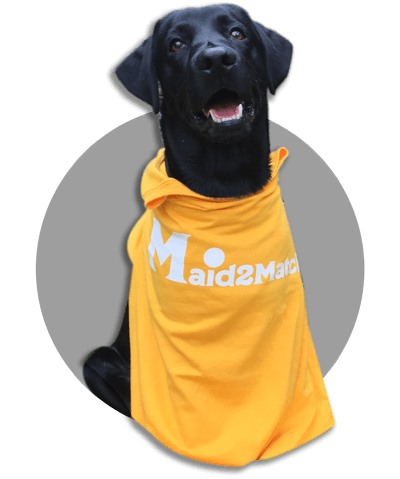 WHY ARE MAID2MATCH HOLLAND PARK’S BEST AT VACATE CLEANING? The truth is great bond cleaners possess a different skill set than regular house cleaners and therefore requires specific experience, dedication, and a first-class cleaning checklist. At Maid2Match, we personally vet all our cleaners, after having them complete a three-part application form. We provide extensive support and have crafted the most effective bond cleaning checklist you’ll find. Our team is the go-to Brisbane exit clean service provider. Holland Park is separated by Brisbane Central Business District by just 6 kilometres, neighbouring the suburbs of Greenslopes, Carina Heights, Holland Park West, Coorparoo, and Mount Gravatt East. This Brisbane suburb is residential, though there’s enough commercial activity on Logan Road. Holland Park is remarkable for its wooden homes that were built after the Second World War With a hilly landscape. Holland Park straddles Logan Road that used to be filled with electric trams up until 1969. The suburb is filled with large parks, quaint shops, and bustling schools. In fact, you can admire the architecture of two such schools, built at the beginning of the 20th century: Holland Park State School opened in 1929 and St Joachim’s Catholic Primary School opened in 1938. Another point of interest, albeit more morbid, is Mount Thompson crematorium on Nursery Road, the oldest one in Queensland. The West Chapel here is heritage-listed, and there are a few columbaria too. A worthy attraction in this suburb, the Whites Hill Reserve is wonderful for hikes and picnics. The bushland stretches on 53 acres and boasts football, soccer and cricket fields, along with some off-leash spaces for dogs. And once you get back to the suburb, stop for a delicious treat at Classic Cakes.